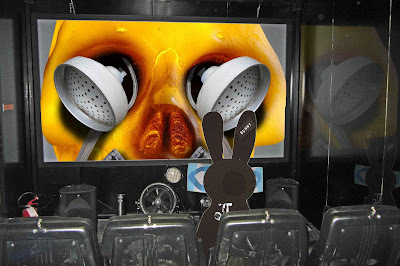 In a shady viewing theatre on the Via Nizza, the Wabbit slipped his information disk into the system and sat back. The theatre was only used at night. But the Wabbit had a special arrangement - so during the day, he could let himself in without a word to a soul. The loudspeakers suddenly barked. "Department of Wabbit Affairs Study Clip, Number 203." "Get to the point," muttered the Wabbit to no-one in particular. "We will now get to the point," said the voice. "This is the only Gnamskull image we have so far. Please study it carefully." 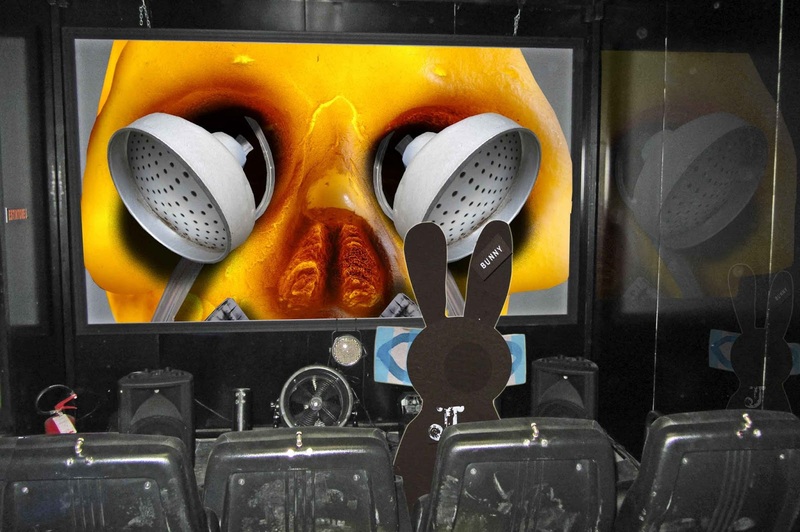 "OK, OK," said the Wabbit and he scrutinised the image pixel by pixel. The loudspeakers echoed around the small theatre. "The Gnamskull eats anything. Food and drink in large quantities are drawn through scavenging tubes ..." "In its eyes," muttered the Wabbit. "... in its eyes," said the voice. "I knew all this already," sighed the Wabbit and he began to fidget. The loudspeakers quivered and boomed. "What most don't know is the Gnamskulls' insatiable capacity for dodgy food." "I did so!" muttered the Wabbit. "The Gnamskulls could emerge at any time," said the voice. "Oh yeah!" scoffed the Wabbit. The voice laughed. "Perhaps in this very viewing theatre, Commander." "No-one knows this place," said the Wabbit.